Meg Reilly's traditional maritime ropework is for sale in her Belfast store, the Sail Locker. In addition to home goods made with traditional maritime ropework, The Sail Locker also carries other arts and crafts with a nautical bent. 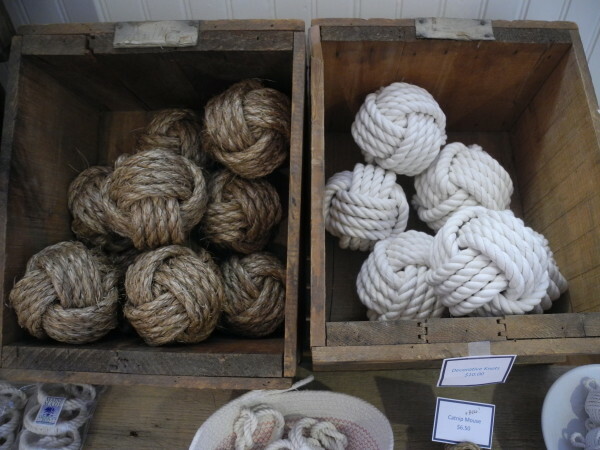 Some of the decorative knots available for sale at Meg Reilly's store, The Sail Locker. The Belfast woman does traditional maritime ropework, using cotton or manila fibers. BELFAST, Maine — Meg Reilly grew up spending summers sailing with her family in the waters around Mount Desert Island. Instead of watching television or listening to the radio, she and her siblings spent their downtime on the boat on such low-tech activities as reading books, playing cards and studying knots. Those hours have paid off for the 41-year-old woman, who has parlayed her skill with maritime knots into her downtown Belfast business, The Sail Locker, which opened last summer. In Reilly’s capable hands, the traditional maritime ropework made of 100-percent cotton or manila rope becomes vases, trivets, keychains, doormats, drawer pulls, coasters and more. Before opening up her bricks-and-mortar store, she sold her crafts on an online Etsy store called Olio Designs. The online store did well — it was named one of Martha Stewart Weddings favorite Etsy crafters in 2010 — and Reilly sold as many of her creations as she could make. But something had to give. Then she had an idea: What if she opened a store where she could sell her own goods and crafts by other makers? 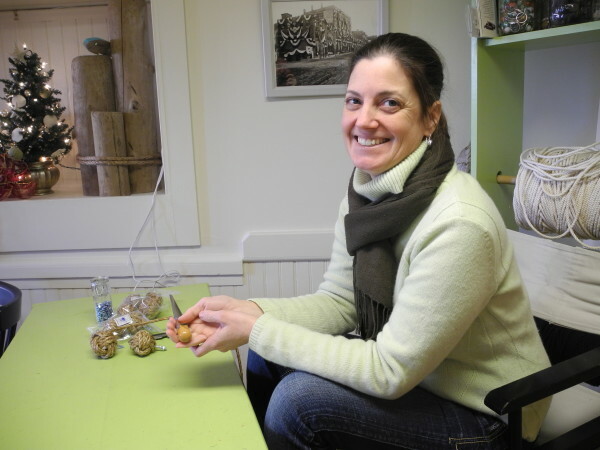 Reilly had made a number of good connections through Etsy and knew other artists and craftspeople from her days at Mount Desert Island High School and beyond. She purchased goods to sell, found a space on a busy Belfast corner and opened in June. 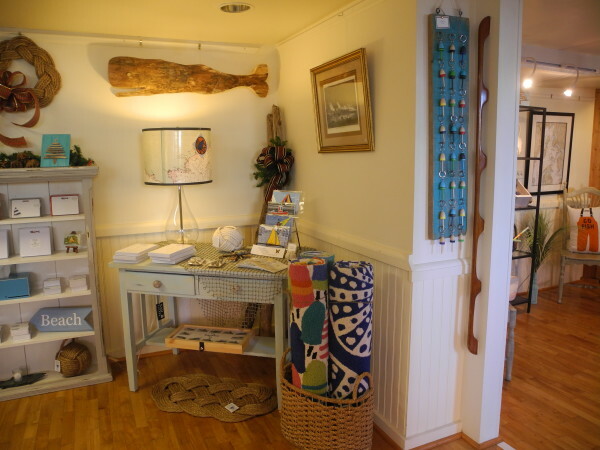 She sells what she likes, with a strong focus on Maine-made crafts with a nautical twist. Even on a bitterly cold winter day, her uncluttered shop has a feel of summer. Among Reilly’s picks are a line of marine signal flags that spell words including “Maine,” “Family” and “Belfast”; night lights and lampshades made of nautical charts; pillows shaped like buoys and 100 percent soy candles from Seawicks in Damariscotta, in such evocatively named fragrances as Berries and Fog, Coastal Storm and Island Hopping. This winter, she plans to stay open, though with reduced hours. Still, you can often find Reilly sitting at her worktable, deftly turning “lots and lots” of rope into whatever home goods strike her fancy. She makes about 95 percent of the ropework for sale in the shop and outsources the remaining portion to a friend she taught to make keychains. Importing goods from China is not in her business plan. She will continue to sell online but has been enjoying her store more than she dreamed she would.